Available with NO ONWARD VENDOR CHAIN is this spacious inner town house with THREE BEDROOMS, enclosed rear garden. With gas central heating and UPVC double glazing. EPC rating E47. 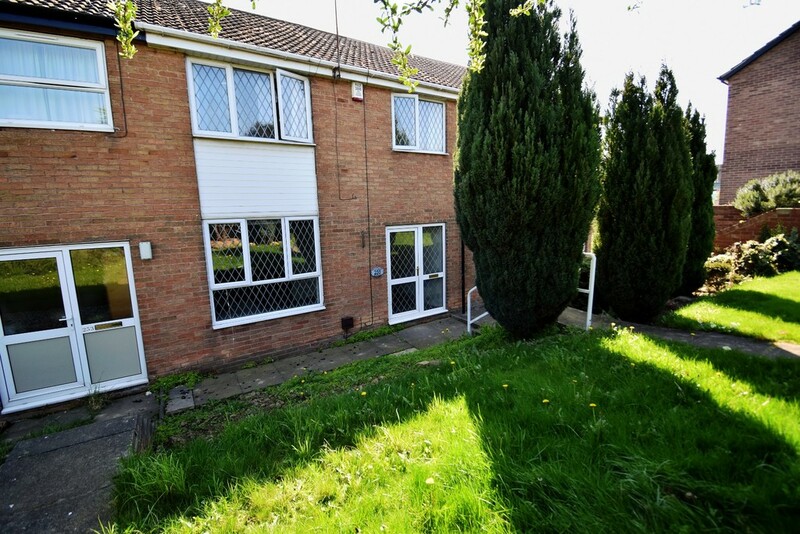 Available with no onward vendor chain is this spacious inner town house with three bedrooms and enclosed rear garden. With gas central heating and UPVC double glazing. The accommodation briefly comprises; entrance hall, lounge, kitchen/dining room, first floor landing, three bedrooms and the house bathroom/w.c. Outside, there is a lawned garden with paved steps to the front, whilst to the rear an enclosed garden with lawn and paved patio. Approximately 1.5 miles of junction 39 of the M1 motorway, the property is within daily commuting distance of the major business centres such as Leeds, Sheffield and further afield. Trains to Leeds are available from Sandal/Agbrigg Railway Station. We strongly recommend an early inspection to appreciate all this property has to offer. ENTRANCE HALLWAY UPVC double glazed front entrance door with glazed side screen leading into the entrance hallway. Staircase to the first floor with understairs storage cupboard, coving to the ceiling, central heating radiator and doors to the lounge and kitchen/dining room. LOUNGE 14' 9" x 11' 5" (4.51m x 3.48m) Coving to the ceiling, UPVC double glazed leaded window to the front elevation and central heating radiator. KITCHEN/DINING ROOM 17' 10" x 9' 10" (5.45m x 3.01m) Fitted base and wall units with laminate work surface and tiled splash backs. Space with electric point for an oven and hob, plumbing and space for a washing machine, wall mounted combination condensing boiler, UPVC double glazed window to the rear elevation, central heating radiator and hardwood door to the rear entrance porch. REAR ENTRANCE PORCH 6' 6" x 4' 4" (2.00m x 1.33m) Brick built construction with UPVC double glazed leaded windows to three sides incorporating UPVC double glazed entrance door. Laminate work surface with space beneath for a condensing dryer. FIRST FLOOR LANDING Providing access to three bedrooms and the family bathroom/w.c. BEDROOM ONE 12' 8" x 10' 7" (3.88m x 3.24m) Coving to the ceiling, UPVC double glazed leaded window to the front elevation and central heating radiator. BEDROOM TWO 12' 2" x 10' 1" (3.71m x 3.09m) max, including storage cupboard Built-in storage cupboard, UPVC double glazed leaded window to the rear elevation and central heating radiator. BEDROOM THREE 9' 9" x 7' 0" (2.99m x 2.14m) max, including bulkhead Overstairs bulkhead with shelving and rail space above. UPVC double glazed leaded window to the front elevation and central heating radiator. HOUSE BATHROOM/W.C. 8' 4" x 5' 5" (2.55m x 1.66m) Three piece suite comprising panelled bath with electric shower over, low flush w.c. and pedestal wash basin. Chrome ladder style towel radiator and UPVC double glazed frosted leaded window to the rear elevation. OUTSIDE The property has a lawned and planted front garden with paved steps to the front entrance door, whilst to the rear, there is an enclosed garden laid mainly to lawn with paved seating area and brick outbuilding.